Grande Clubhouses with swimming pools, tennis, shows, etc. These communities were made to enjoy. There is always something going on. Close to shopping and the beautiful beaches. MOTIVATED SELLER! 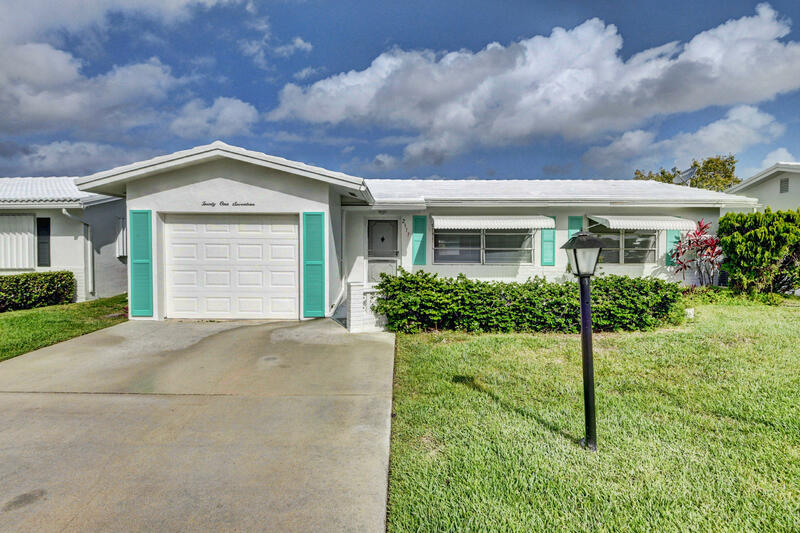 BRING ALL OFFERS ON THIS LARGE 2/2 EDGEWOOD MODEL IN QUIET LOCATION WITH FULL FLORIDA ROOM AND EXTRA ROOM FOR OFFICE OR STORAGE. UPDATED LARGE KITCHEN WITH EXTRA CABINETS AND GRANIT... Listing courtesy of Partnership Realty Inc.
Nicely renovated 2 bedroom 2 bath home with master en-suite bath. Remodeled kitchen with stainless steel appliances. Tile floors in living areas and Florida Room. New carpet in both bedrooms.Just pai... Listing courtesy of Handy Realty Inc.